Tyne and Wear is the part of the country which is described as being the heart of the North East, famous for its shipbuilding industry. Lately, it has become famous for its vibrant nightlife, and it is now also a center for the arts and cultural pursuits in general. 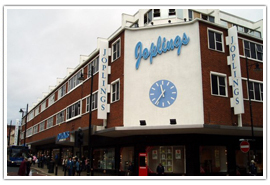 The northeast of England has a long-standing industrial image, and though many of the industries have now left the area, many of the factory buildings remain. One of these buildings, the old Baltic Mill now houses what has become a world-famous art gallery and exhibition center. The people of the region are known for the generosity of spirit and wonderful hospitality, and of course the famous Geordie accent as well as the region’s biggest export ‘Newcastle Brown Ale’. Travel time from London is approximately 3 hours by train and 5 by road, and around 30 minutes by air. The region is home to cities and towns which each have distinct characteristics and charms of their own. 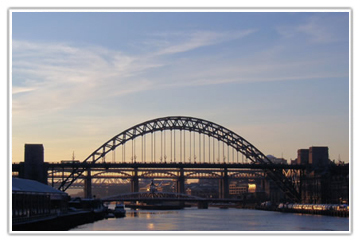 Newcastle is actually one of the largest cities in the UK and is located on the northern side of the River Tyne. It is the region’s capital and is host to the ‘Great North Run’ which starts here every year, during which tens of thousands of pounds are raised for charity. 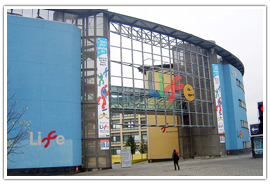 Newcastle is also home to the Sage Centre and the venue for many major live events throughout the year. The city of Sunderland enjoys a coastal location at the mouth of the famous River Wear. The city offers an expanse of sandy coastline and plenty of open space. 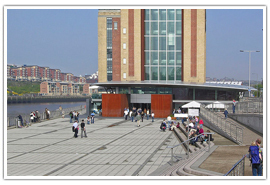 It is also home to the National Glass Centre and the impressive Northern Gallery of Contemporary Art. The Sunderland coast plays host to an annual International Air Show which attracts visitors from far and wide. Home of the iconic ‘Angel of the North’ sculpture by Antony Gormley, it stands on a hillside on the southern approach to the town, and cannot be missed by motorists on the A1. Gateshead is also home to the MetroCentre, the UK’s biggest indoor shopping complex which offers a wealth of shopping and leisure facilities. The region has plenty of wide open spaces in which to relax and enjoy simply being outside. 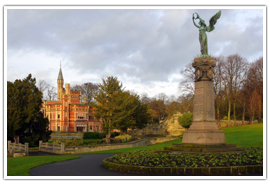 Located right within Gateshead’s urban heart, the park is widely regarded as being something of a hidden treasure. Woodland, as well as ornamental gardens, a maze, boating lake and educational center, make it popular with families of all ages. The park is open daily from dawn through until dusk all year. Located in Jarrow, Bede’s World is situated next to an ancient 7th-century monastery and church which was once home to the Venerable Bede. Aside from the medieval herb garden which encompasses culinary herbs as well as those used for medicinal and aromatic purposes, there is also an Anglo Saxon farm and museum to explore. The garden is open daily from 10.00am. 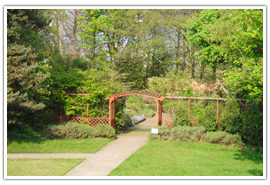 Located in Jesmond, a wooded valley hides a beautiful Victorian garden which includes a water mill and stunning waterfall. 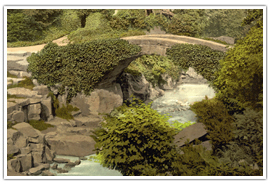 The park was donated to the town in 1883 by Lord Armstrong, for the people of the area to enjoy. The park is open daily across the year. 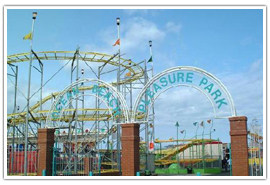 Located in South Shields this coastal pleasure park has something for everyone. Entry to the park is free and visitors have their choice of more than forty different attractions and rides, including Quasar Laser and Urban Wave; a surfing and snowboarding simulator. Adrenalin junkies will love the ‘Scream’ experience while the younger members of the family will feel perfectly at home on the ‘Pony Express’. Opening times vary across the year so please visit http://www.oceanbeach.co.uk for more details. 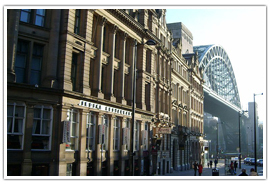 Located in the heart of the city of Newcastle the center is designed to make visitors think. Everyone who walks through the door is immediately engaged by the world of science and encouraged to use the center’s state of the art equipment and facilities to further their knowledge. It offers a stimulating day out for all the family. The centre is open Monday to Saturday from 10.00am – 6.00pm, and Sundays 11.00am – 6.00pm. 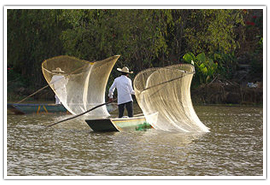 See http://www.life.org.uk for more information. 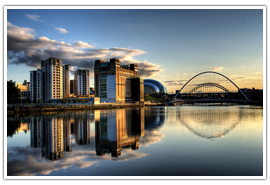 Located in what was once the Baltic Mill, an iconic structure which sits on the south bank of the River Tyne at Gateshead, the BALTIC is the largest venue of its type in the world. Contemporary visual art has never been as exciting. Local artists have found a home for their work here alongside many international names in the world of contemporary art. Different family-themed events are always taking place so check https://www.balticmill.com for event information. The venue is open daily from 10.00am – 6.00pm. 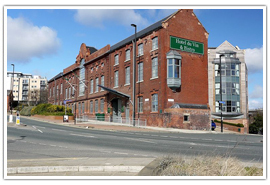 Also known as the Great North Museum, it is located is Barras Bridge, Newcastle and contains items from many incredible collections. Visitors can view artifacts from ancient Egypt, Greece, and Rome as well as stand in the shadow of a full sized tyrannosaurus rex. There are plenty of hands-on displays which incorporate touchscreen technology which engages and educate the user. The museum is open Monday to Saturday from 10.00am and Sundays from 11.00am. For more information about exhibitions visit http://www.twmuseums.org.uk/great-north-museum.html. The region has some wonderful outside spaces to be enjoyed to the full. At Endless Adventures, everyone has the chance to make the most of the great outdoors. All ages and levels of experience can be catered for and activities can be booked per half day which includes one activity or spends a full day and enjoy two different activities. 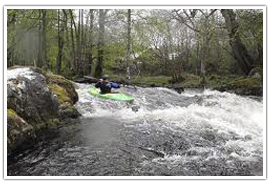 Visit http://www.endlessadventurenortheast.com for more details. A short drive outside of Newcastle city center is Steve Smith’s Shooting Ground. 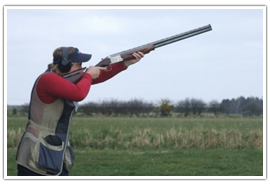 Here visitors can try their hands at all manner of disciplines from air rifles to firing pistols. Tuition is provided and all levels of experience are catered for. See http://www.stevesmiths.co.uk for more information about available activities. The region offers plenty of choices when it comes to golf courses, with several within easy reach of Newcastle city center. The City of Newcastle Golf Club is just one of many, established in 1891 it is a well-respected club which offers challenging courses. 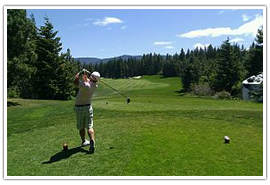 Visit their website for more details about courses and club rules. At Angel of The North Fishing Lakes, located just outside of Gateshead anglers can try their luck on either the carp fishing lakes or coarse fishing lakes. The Fisheries Accreditation Scheme has awarded the facility the Gold Standard so guests can be assured that the welfare of the fish is paramount. Open to both club members and members of the public, more details about the facilities can be found on their website http://www.angelnorthlakes.com. Take a break and enjoy a relaxing and indulgent afternoon tea in one of the areas tea rooms. Located on Fenkle Street in the heart of Newcastle city center, Hotel Indigo offers afternoon tea in contemporary boutique surroundings. Guests can enjoy traditional afternoon tea with all of the trimmings for around £16.00. 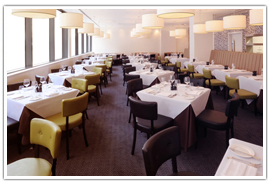 Afternoon teas are served daily between 2.30pm – 5.00pm. See the Hotel Indigo website for more details. 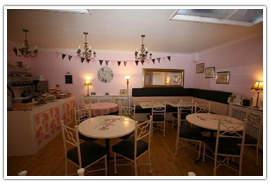 This unusual tea room is located on Frederick Street in Sunderland. The vintage 1950’s inspired chic and antique bone china give this tea room a wonderful ambiance. Guests can enjoy a traditional afternoon tea from around £15.00 with plenty of options for upgrading to champagne and cocktails. Visit http://www.serendipityteaandtrinkets.co.uk for more information. The region offers some truly spectacular wedding venues for the most special day of your life. Located in what was once the location of the Tyne Tees Steam Shipping Company, the venue offers a mix of the old with a twist of the contemporary. Guests have a choice of two private rooms for their ceremony, offering stunning views across the River Tyne. 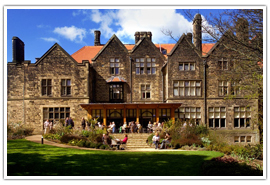 Located just outside of the city of Newcastle, Jesmond Dene House offers beautiful woodland surroundings for your special day. This boutique, country house hotel offers a unique and intimate venue for your wedding ceremony and celebrations, with the gardens making the perfect backdrop for your photographs. 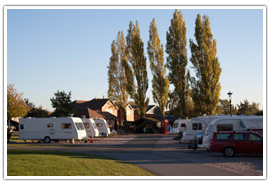 The region offers plenty of campsites for those looking to provide their own accommodation. 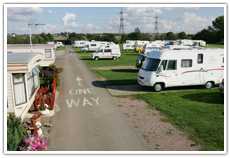 • Old Hartley Caravan Club Site – Old Hartley, Whitley Bay, Tyne & Wear. • Cut Thorn Farm Certificated Site – Gibside, Rowlands Gill, Burnopfield, Tyne & Wear. • Lough House Sweethope Certificated Location – Harle, Kirkwhelpington, Tyne & Wear. • The Croft Campsite – Warden Law, Houghton Le Spring, Tyne & Wear. 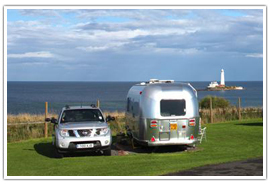 • Lizard Lane Caravan and Camping Site – Marsden, South Shields, Tyne & Wear. 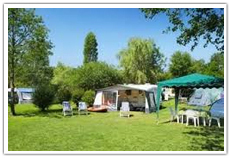 • Derwent Park Caravan and Camping Site – Rowlands Gill, Gateshead, Tyne & Wear. • Border Forest Caravan Park – Cottonshopeburnfoot, Otterburn, Newcastle upon Tyne, Tyne & Wear.